I snuck this pic of my little man as he napped one afternoon this week. I kept starring at him because all I could see was his sweet baby face, taking him back to when he was 1. As fast as they grow, it’s nice to stop time if for only a minute. My mom came up one afternoon to keep the kids and where do I sneak off to? Target of course. While I was there, I found the perfect Valentine’s card for my husband to give to me. Why didn’t I just buy it?! But guys, I just did half of your work…just get yourself to Target! 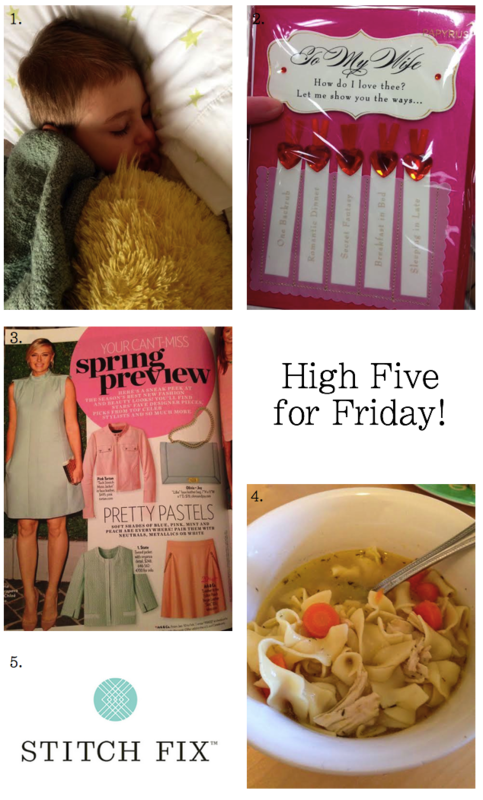 I picked up People’s StyleWatch and (although it seems rather obvious) I was thrilled to see pastels in their spring preview. So soft and beautiful, I can’t wait to put them on heavy rotation. With a sick child, it only seemed appropriate to make chicken noodle soup. To be honest, I had never really made it before, so I found myself randomly throwing things in. Maybe it’s something you just can’t mess up, but everyone thought it was amazing, and my little sick man gobbled it down! 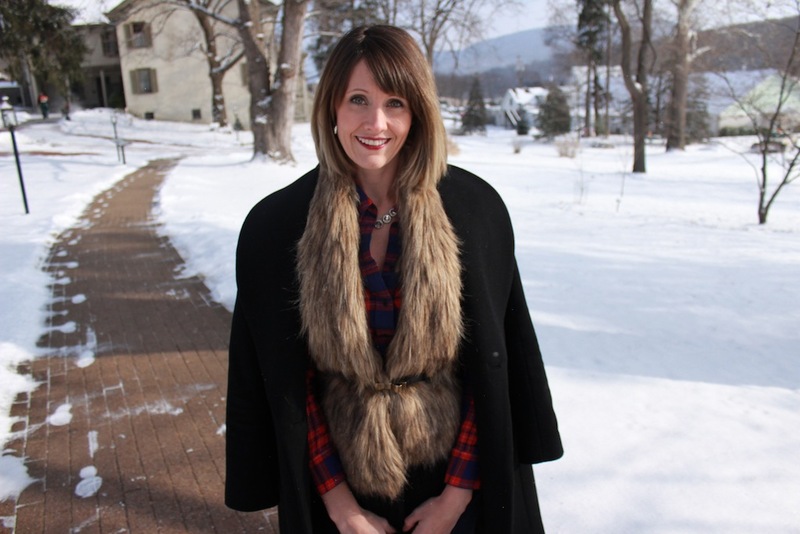 Any of you use Stitch Fix yet? A girlfriend of mine has been using it for a little while now and talked me in to trying it out. For those of you that don’t enjoy shopping for clothes (what??) this would be right up your alley. You fill out a profile (the more info you give the better) and a stylist will select pieces to send you based on your criteria. What you like, you pay for and keep and what you don’t like you simply return. I’ll do a full review once I receive my first order in a few weeks, but I’m excited to try it out! Ok friends, have a great weekend and stay healthy! Sweet. Salty. 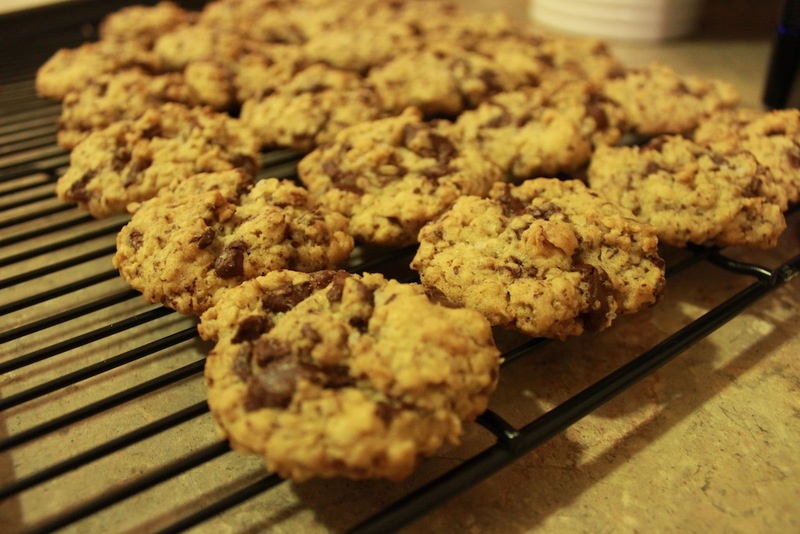 Cookie. I’m sold. 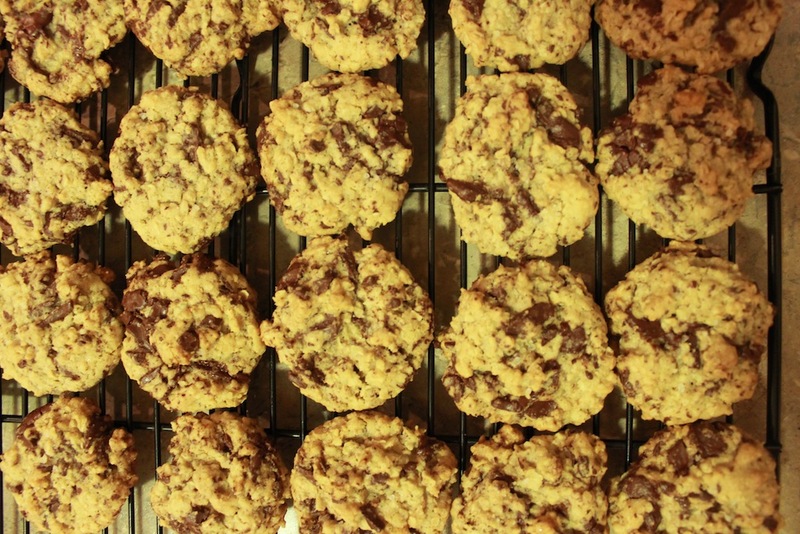 As if the dark chocolate and oatmeal combo wasn’t enough, a sprinkle of sea salt on these delicious cookies makes them hard to resist. This was another recipe that floated into my inbox from Real Simple and found its way right into my kitchen. They make a terrific addition to any occasion or simply a cold, snowy day spent indoors ;) You can find the recipe I used here and thank me later! 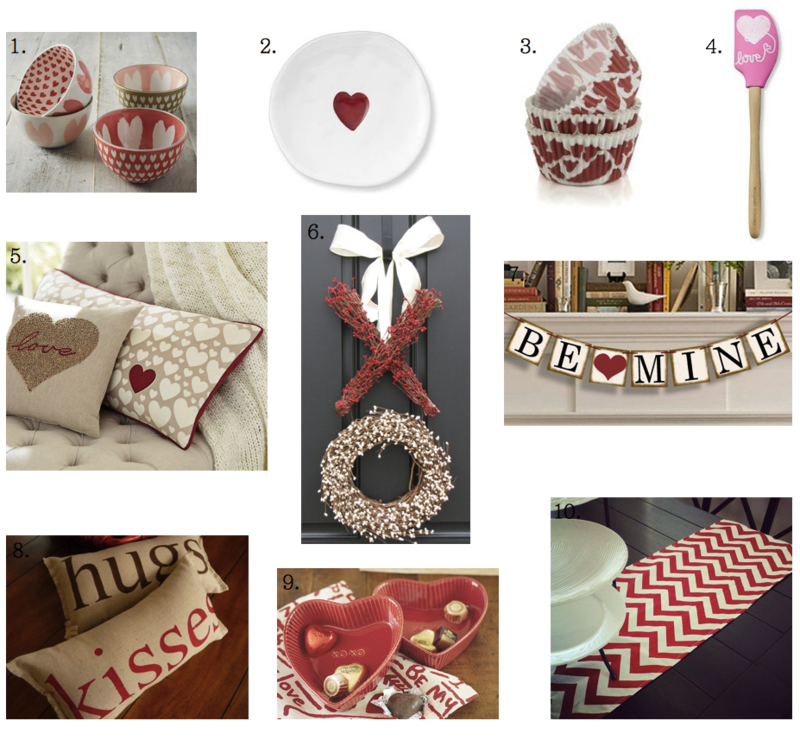 Last week I shared some ways to start prepping your home for Valentine’s Day. 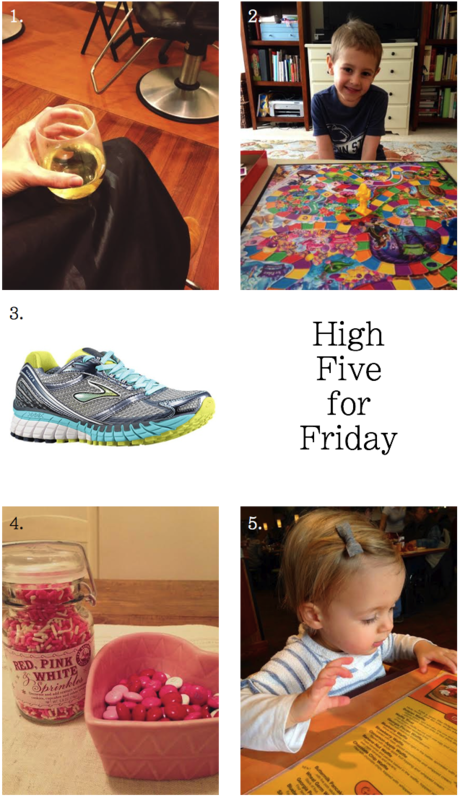 This week, I have children on my mind. 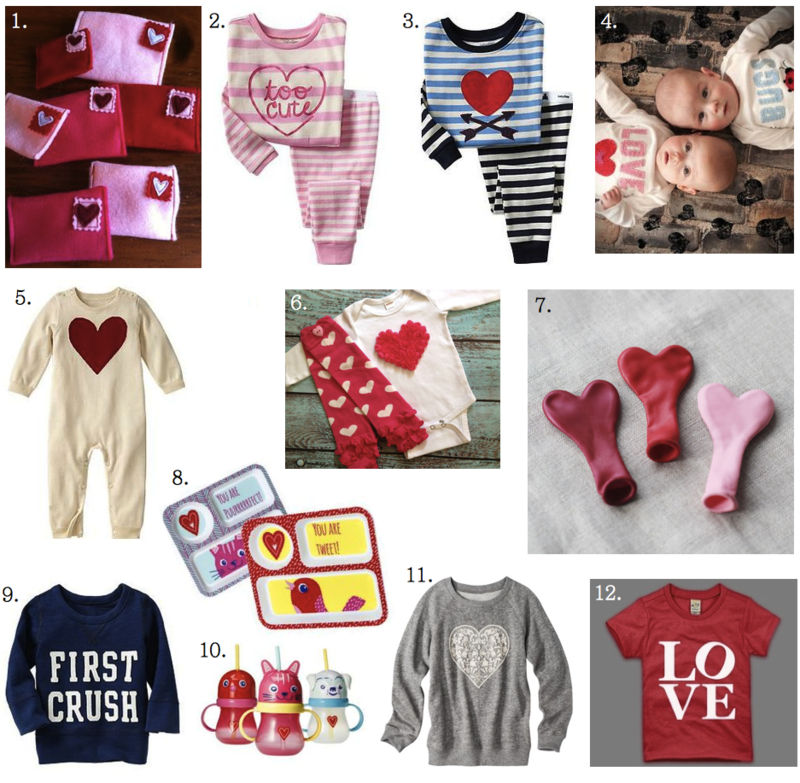 There are so many adorable ways to shower your little ones with some Vday love. Etsy, as always, has some great goodies including these mini felt envelopes, some love bug onesies for twins or siblings, a sweet onesie with heart leg warmers, or the cutest tee for he or she. I also love these heart balloons and just may prep my little ones’ Valentine breakfast on these cute plates from where else but Target. What a lovely day they’re sure to have! Since the cold weather doesn’t appear to be leaving us anytime soon (and by cold, I now mean anywhere from -15 – 30 degrees F) I find myself turning to sweaters that I know will keep me from shivering as I run around town. This sweater has been in my closet for years and it remains a favorite of mine. It’s thick but has enough structure and shape that keeps it from feeling boxy. They still make similar styles of this sweater that just so happen to be on sale right now. 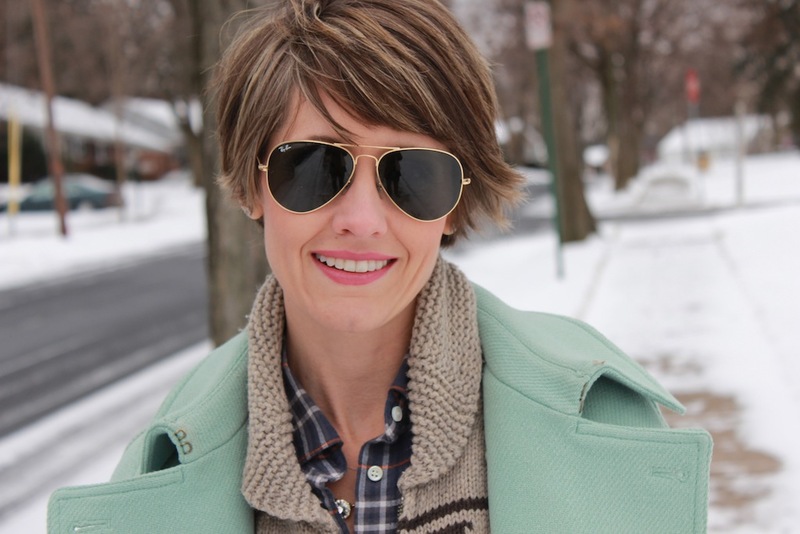 This coat is also available in various colors (I snagged the mint last year) at a great price. Looks like I’ll be continuing to turn to both of these for a while longer! You may know by now that when it comes to my hair, I’m always up for a change. It keeps things feeling fresh because honestly, I tend to tire of things (things, not people, don’t worry, my love!) all too quickly. 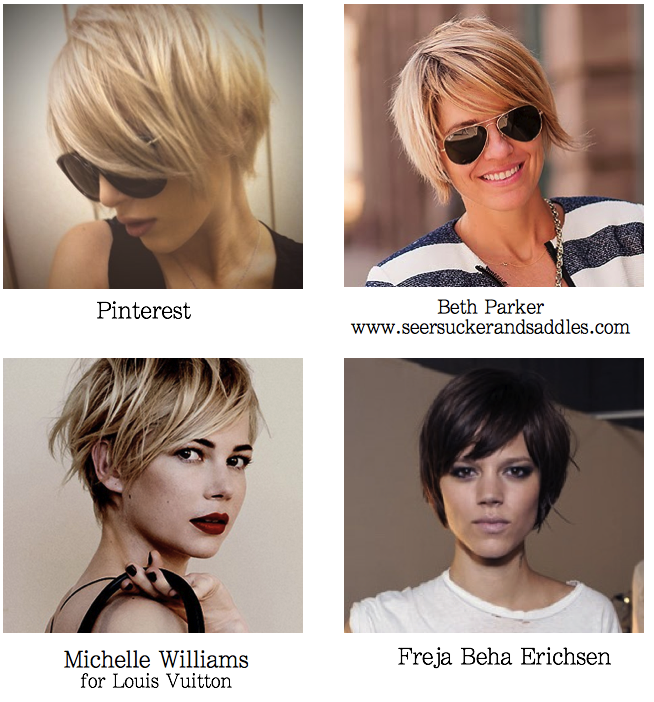 When I started this blog 8-ish months ago, I had shoulder length blond hair. I then switched it up to try out my natural color with some ombre ends and then somewhere during the fall I started feeling inspired to go short again. I say again because most of my life I’ve had short hair. I had always wanted to go long, but for any of you who have attempted to grow out hair, you know how tough it can be. As I approached 30, I sucked it up and let it grow. There were parts of it that I enjoyed (like all of the different styles you can do with it), but what I did not enjoy was the sheer amount of time that it took to wash, dry and style my hair. I have rather thick hair, so the process always felt excruciatingly long. If only hair could be changed with the snap of the fingers, I’d save a lot more time. But since it can’t, I’m thankful for wine to help pass the time. Candyland. Thank goodness he won this time. It ain’t pretty when he loses. Loving my new Brooks Ghost sneakers. They’ve had me up running (on the treadmill, I’m not that crazy) more than once this week. A little Valentine color has entered our household. The M&M’s have no chance. A lunch date with this beautiful little lady. Hope your week was wonderful! Stay warm, friends! Anyone else feeling a little bombarded by all of the SALE emails flooding your inbox each day? It would be a full-time job to keep up with everything, but I’ve sorted through a bit of it and found some pieces I love (and a few that I own) at fantastic prices. 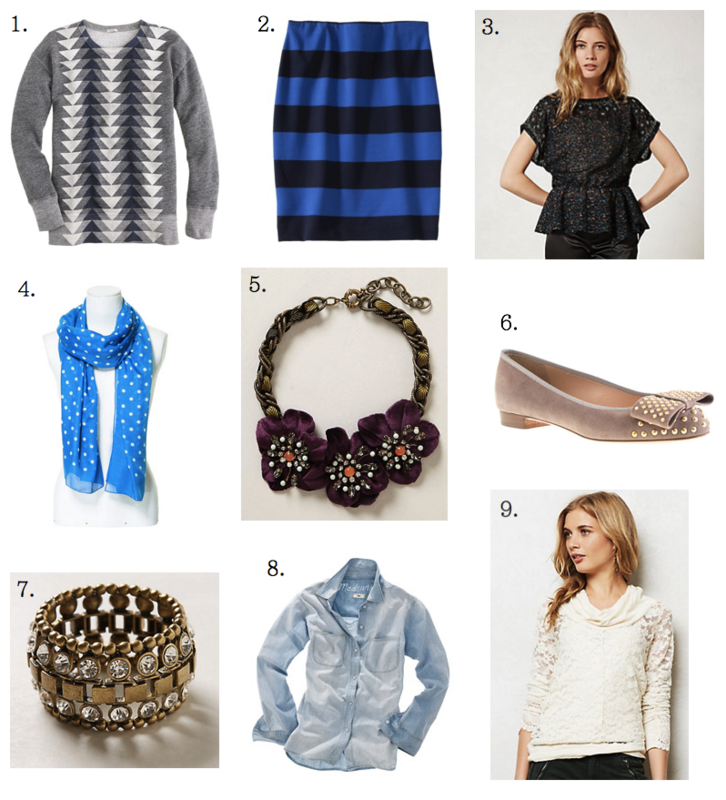 Most of these items will transition well into spring which is an added bonus. You might recognize this sweatshirt that I wore here, or this lovely lace top from here, both of which are favorites of mine. I happened to come across this pencil skirt (#2) at Target while I was chatting away on the phone with my girlfriend yesterday. It’s full price online but if you can snag it in store it was only $11! It has an elastic waist and is therefore extremely comfortable, not to mention super sleek and perfect for spring. 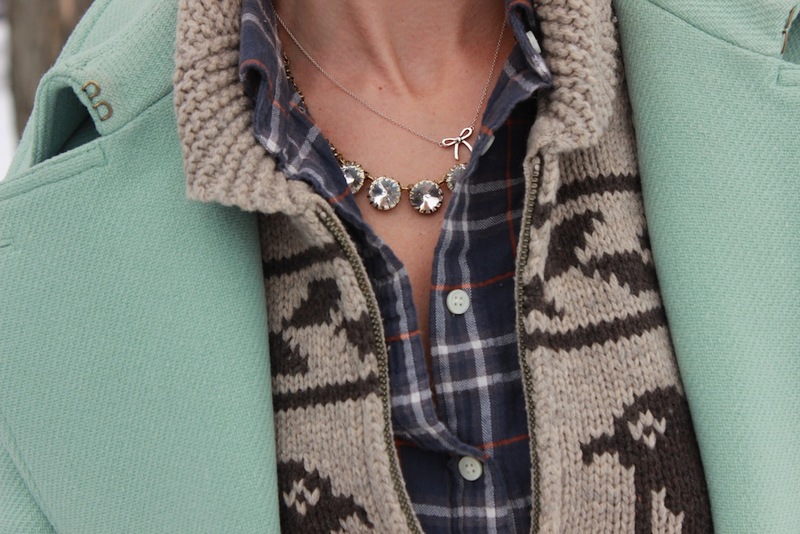 And how about this necklace (#5)?! It’s taking much self-control not to order it…so please, someone grab it! Any items that have been catching your eye? 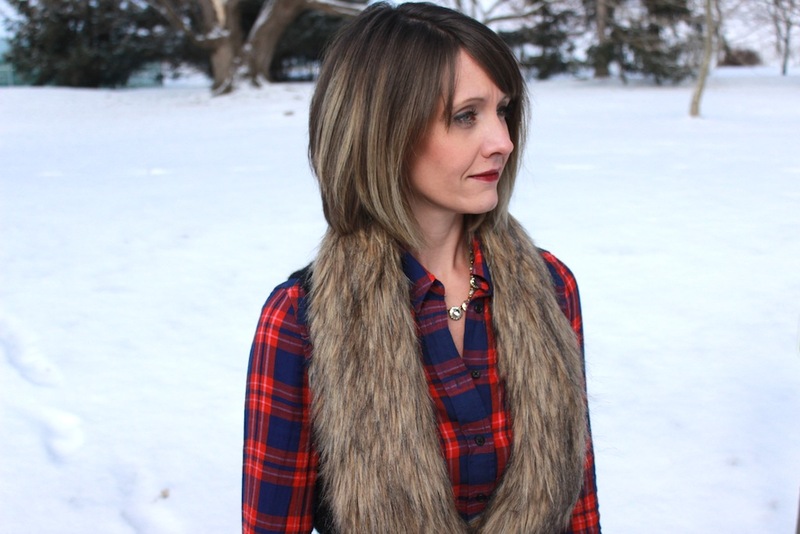 Want to know an easy way to quickly dress up a flannel shirt and jeans? 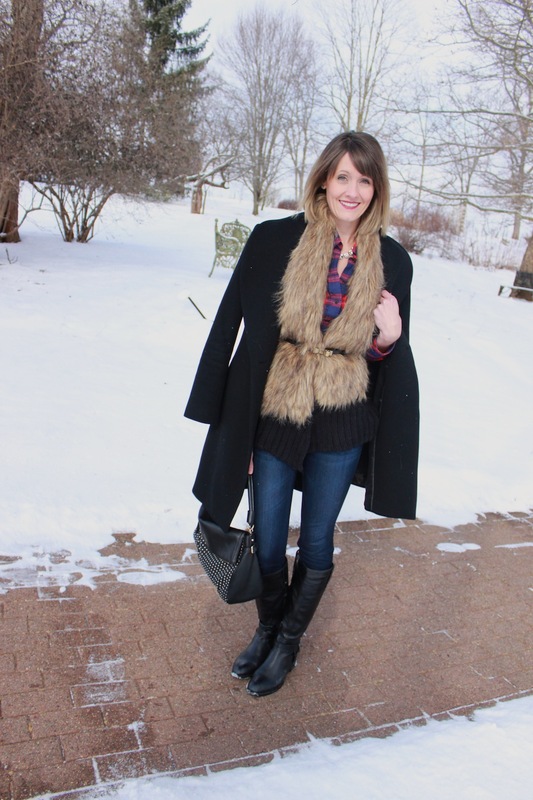 Throw on a little fur! 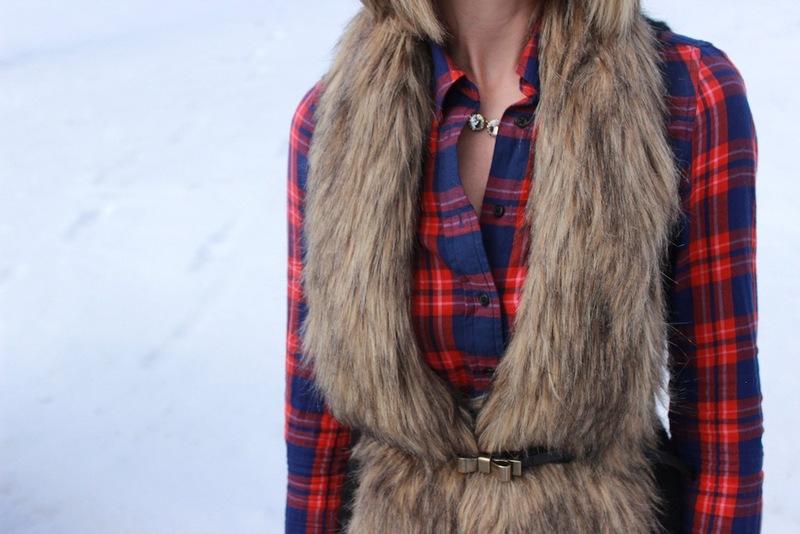 I love the way this fur vest and belt class up the outfit with very little effort. 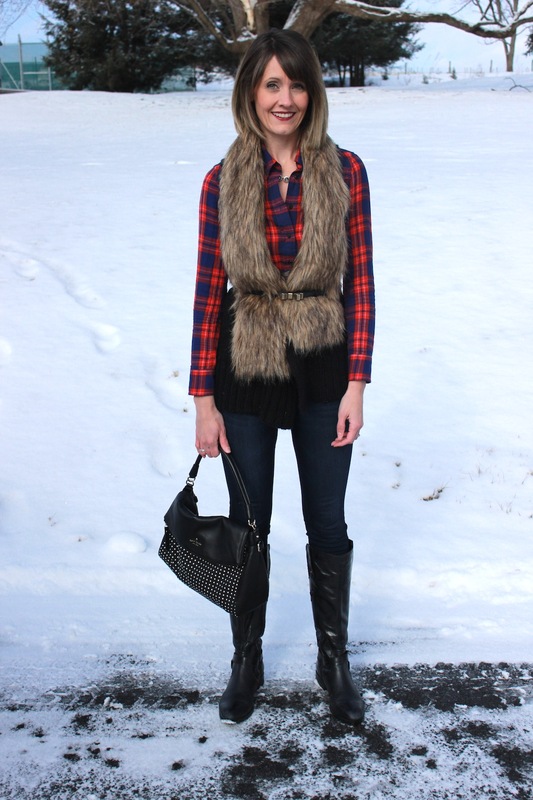 I found the vest on Ruelala a few months ago and am thankful to have it in my closet on snowy days like this. Speaking of Ruelala, do you guys find yourself shopping on discounts sites such as this often? These Seychelles boots came from Gilt which goes to show you my weakness for a good deal. It can be a little much keeping up with them (kind of like sorting through the sale rack at Macy’s) but finding some key pieces can really make it worth it. 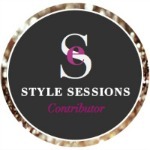 If you frequent my blog you probably know that I love my children, fashion and sweets. 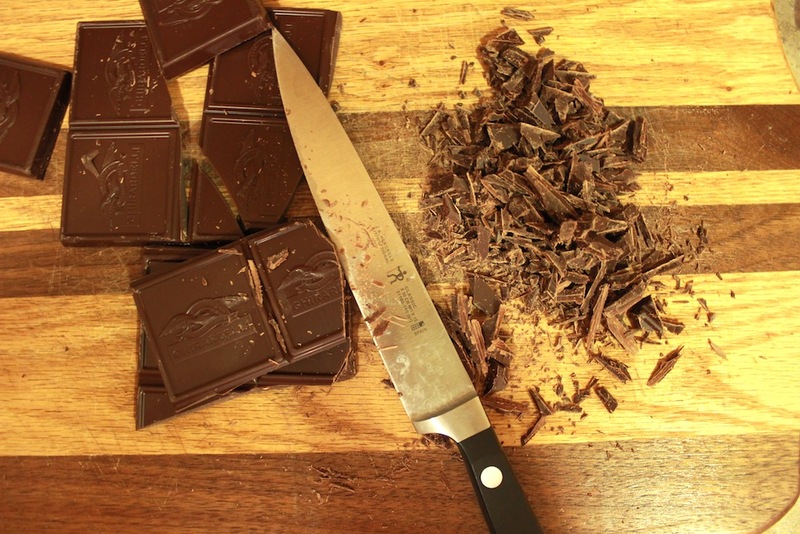 Oh, and my husband too ;) It’s true that I have a sweet tooth, but I also do my best to plan out and prepare healthy meals for our family. My 4yo son has always been a picky eater, but over time he’s come to like most of the meals I make, even if it does take him a good hour to finish his plate! Thankfully my 1yo daughter will eat just about anything I put in front of her, and then she’ll finish off her brothers! 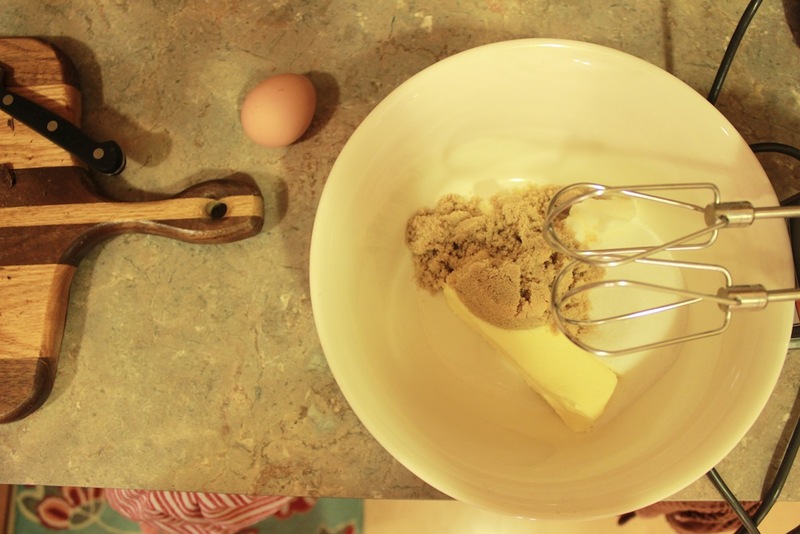 Today I have two recipes that have been on repeat for years in our house. 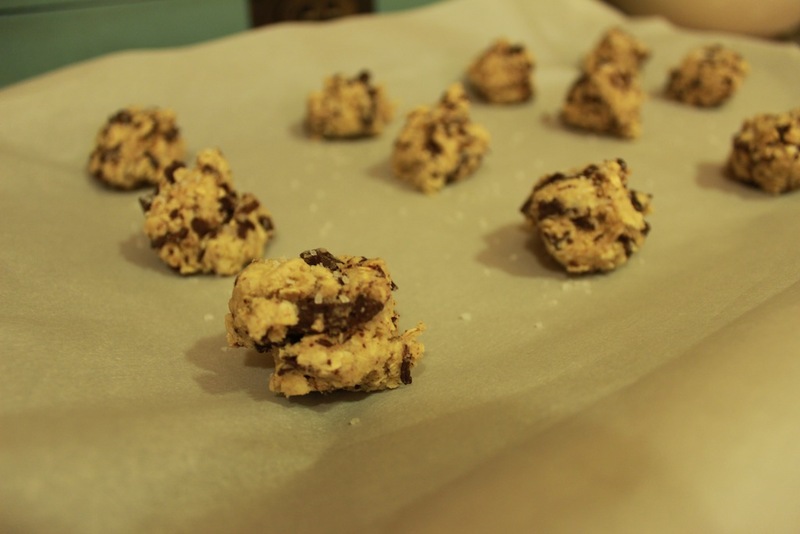 They are healthy, delicious and win over both of my children. 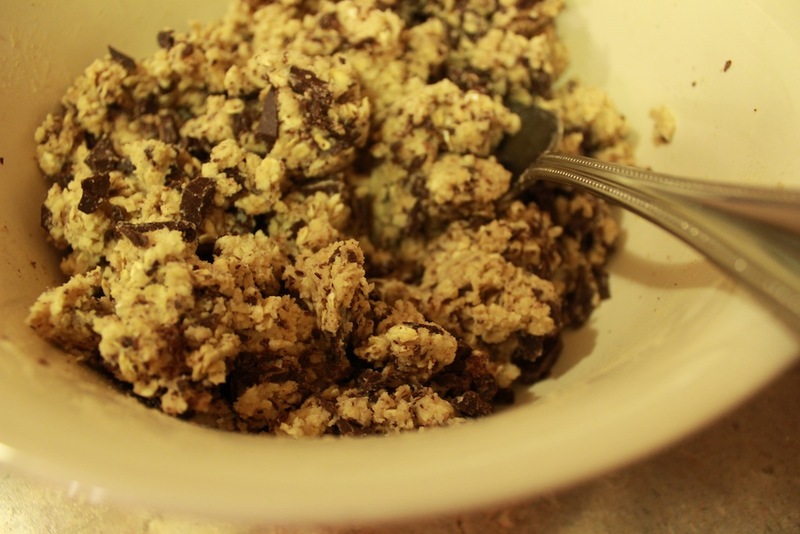 They also freeze well, so feel free to make an extra large batch! 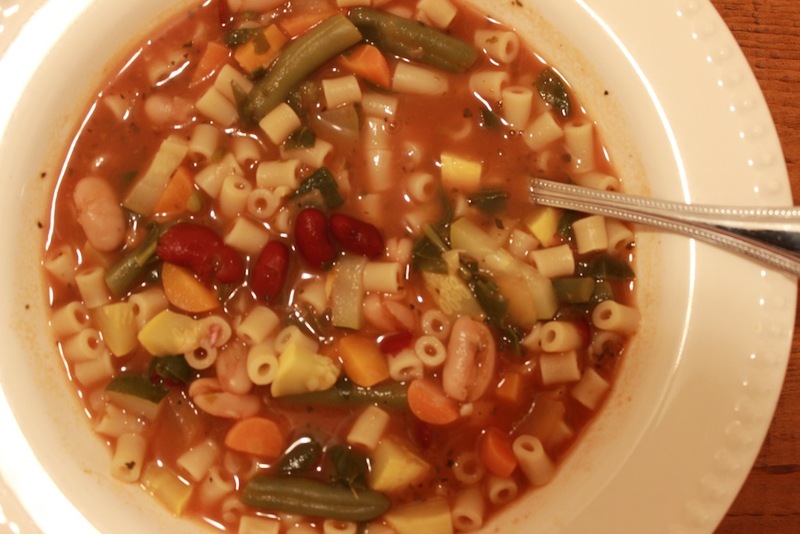 Minestrone Soup – This soup does have a ton of ingredients, but that’s what makes it so tasty! I typically shy away when the grocery list is too long, but this one is worth it. In a large stock pot, over medium-low heat, heat olive oil and saute onion for 4-5 minutes. Add carrots and saute for 4-5 minutes. Add garlic and continue to saute until garlic is fragrant, 2-3 minutes. Add chicken broth and tomato sauce, bring to boil, stirring frequently. Reduce heat to low and add kidney beans, cannellini beans, green beans, zucchini,squash, spinach, basil, oregano, salt and pepper. Simmer for 30 to 40 minutes, the longer the better. Once pasta is cooked and soup is heated through place a few spoonfuls of cooked pasta into individual serving bowls. Ladle soup on top of pasta and sprinkle Parmesan cheese on top. 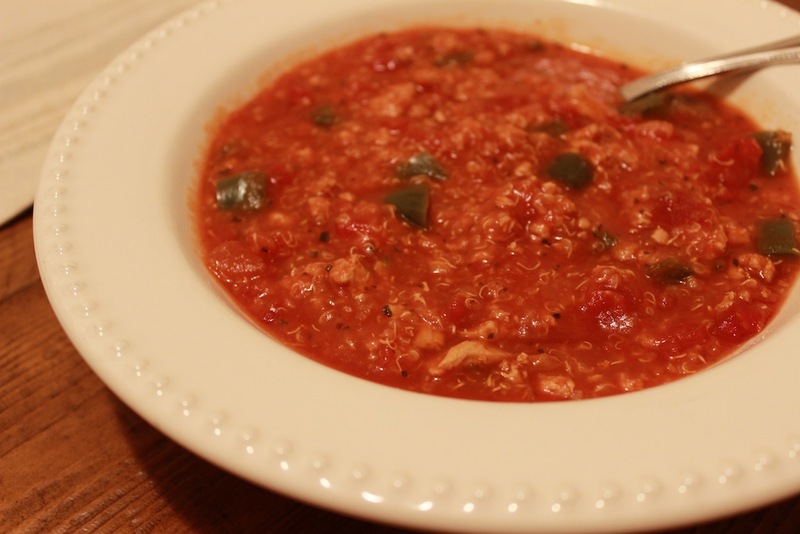 Stuffed Pepper Soup – This one is my favorite slow cooker recipe. 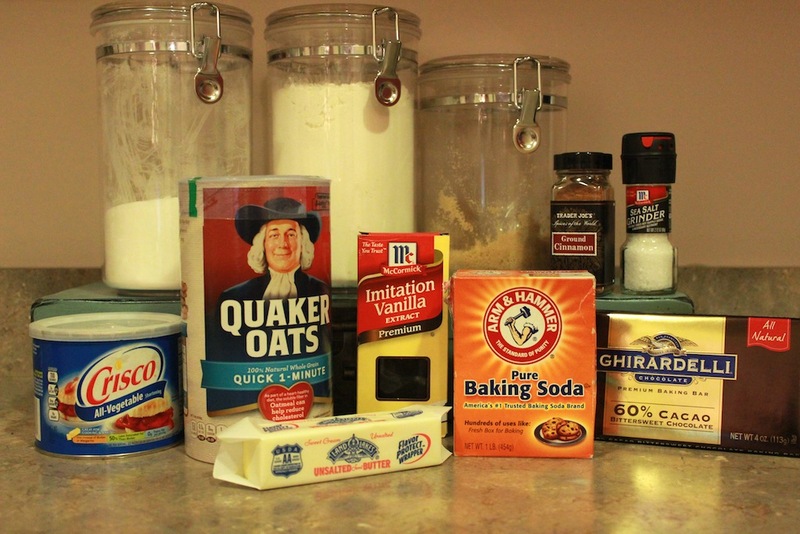 Whip it together in the morning and you’re set! Cook on low for 8 hours adding water to thin if necessary.